You can now print objects that smell and feel like wood. 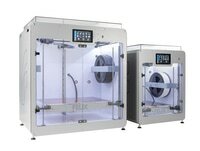 FELIX Wood filament, containing 30% real wood fibre, is a modified PLA based filament that contains a mixture of recycled wood and binding polymer. 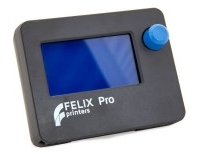 The printing process with FELIX Wood is very similar to printing with thermoplastic filaments like ABS and PLA. As this material contains real wood fibre when printing with different temperatures, the prints will have different shades of brown wooden-like surface. Printing at higher temperatures gives your prints darker brown shades. Due to the low shrinkage factor of FELIX Wood it will not deform after cooling. It is a biodegradable plastic made from renewable natural resources.